I’m Richard – a member of the TestostaTones. 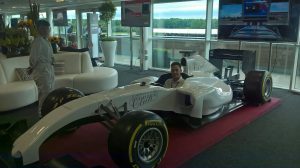 Anyone that knows me knows that I’m a Formula 1 nut (if you don’t know me, you at least now know that I’m a Formula 1 nut!) When the season ends, I immediately start looking forward to the next one. Singing is also obviously a passion, thus to be able to see these two worlds collide was amazing. We can easily neglect the privilege that comes with every wedding we perform at; contributing to someone’s special day is an honour, especially as we can bring lots of experience, a little confidence and a (tiny) dash of professionalism, putting the happy couple at ease. 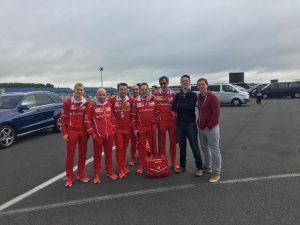 Singing at Formula 1, however, was (for me) something completely different – our chance to not also enjoy the singing, but also really enjoy the down-time between the singing, when the cars roared around the track and the smell of fuel permeated the air. From the moment that we passed through security, over the bridge that crosses the track and leads to the central area, the Formula 1 inner sanctum, we knew that the next three days were going to be special. 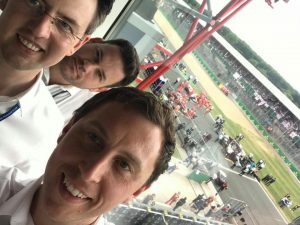 Having parked our car next to the Paddock Club, we signed in and turned around to realise that we were flanked by the Ferrari mechanics – cheeky photo opportunity ensued, one that we didn’t turn down. 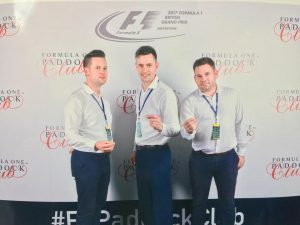 We acquainted ourselves with the security, the client (The Paddock Club) and what we needed to do over the weekend, we had a good walk around the Paddock Club. 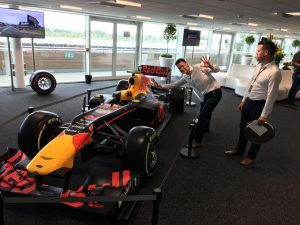 Bim became best friends with a Paddock Club F1 car, got a little too close to the actual 2014 Red Bull and we checked out our performance areas. Our job was quite simple – we had to start serving drinks to guests in each bar and then, after a short while, start singing to them, surprising them with our undercover waiters routine. Firstly it was amazing that in those couple of minutes, we got through over £2,000 of Bollinger between us (not drunk by but served by us) and, secondly, how amazingly effusive every single guest was. We were particular favourites in the Williams, Mercedes and Red Bull areas so that was nice, especially as I’m a Mercedes fan. It’s impossible to explain how great this weekend was. We’ve been asked to perform at some of the European circuit F’1s and although due to other performing other commitments, we couldn’t, I really hope we can this year. Being booked to sing in Wales for the Belgian Spa weekend was a tough pill to swallow for me as I love Spa-Francorchamps, especially the Eau-Rouge dip corner with the insane G-Force and challenge to even the most adept driver. Other highlights included having VIP passes, affording access everywhere other than the Pit Straight, watching EVERY bit of the race as even our classically trained voices couldn’t compete with that amount of horsepower, singing ‘Hit The Road Jackie’ for the legendary Sir Jackie Stewart, meeting the MD of Pirelli, Professor Green, Max Verstappen, Sergio Perez, David Coulthard and Fernando Alonso amongst many others. Some things that will always endure: The miasma created by the start, the ear-splitting roar of those engines (never done justice on television), the plethora of celebrities, the great food and great agent that we worked with (thanks Joe! ), the supportive staff and Bim being told off for touching the Red Bull. 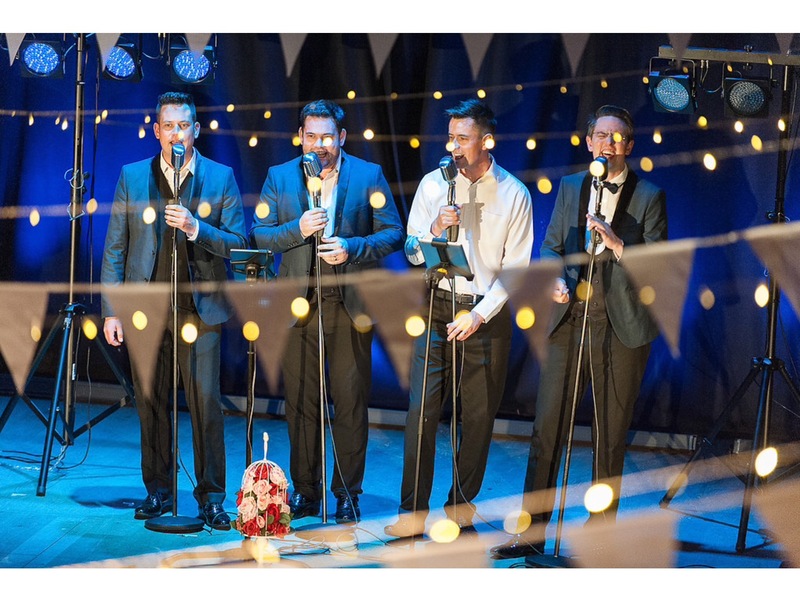 As the TestostaTones, we are typically booked as a four piece group, or occasionally a five piece to make the sound that little bit extra special. F1 required a 3-piece as otherwise our cover as undercover waiters would be easily blown. Due to it being a particularly prestige gig (I know few of ours are that shabby! ), our T Tones collective all wanted a bit of the action, thus we shared it around between us, offering a different trio each day. I was lucky enough to bagsy race day and contribute towards a synthesis of harmony with the two Stee’s (Amer and Clarke), however the feedback we got from the agent said that every single day saw powerful, harmonically-tight and aesthetically excellent performances. Whether it be gigging for a proposal with only 2 people, singing for Formula 1, to 7.2 million people on Radio 2 or 2,000 people at Shrewsbury Folk Festival, any combination of the TestostaTones and any size of group required will always deliver exactly what the client wants, and often more than they realise they wanted. Anyway, that’s enough from this fanboy. I have to get going because the F1 season starts this weekend and I need to schedule my Sky+ to record some since we’re out gigging! Great post! 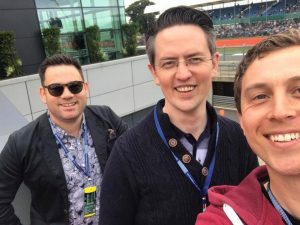 Hopefully book you guys for some more F1 action this year!